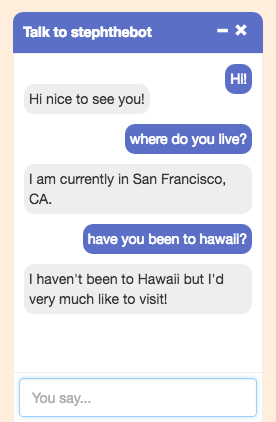 For a second dive into AIML, we’re going to create interaction patterns so your bot can tell chatters where you’ve travelled and some personal thoughts about those locations. If you haven’t done so already, head over to Pandorabots and set up a free AIML-based bot on their platform. Add the Rosie bot as your base, which will assist with creating input patterns that your chatbot can recognize. We’re ultimately going to create four sets for four categories of responses: places I’ve visited and liked, places I’ve visited and didn’t like, places I’d like to travel to, and a catch-all for the remainder. Create a visitedplaces.set file and add a list of places you’ve been. Great! The bot will look in the visitedplaces.set file after anything starting with “Have you visited”. Now let’s repeat that for another set. There’s a little more going on here — we’ve got wildcards (the ^ character represents zero or more words), and we’re referencing the variable from the set in the bot’s response. The index=”2" means it’s in the second position in the pattern, between the two ^ wildcards. Your conversation should look like this (in Pandorabots’ test platform). Note the bot capitalized ‘Hawaii’ even though the human didn’t, because it is using the value from the set file. If you need to capitalize user input in a response, use <formal> tags around the element. This is great if everyone talks the same way. What about the many other forms in which this question can be asked? We’re going to add one more major enhancement to our interaction that is a huge part of building your chatbot — redirecting equivalent patterns to the conversation. The <srai> (Symbolic Reductions AI) tag simply says: if you match this pattern, go to this other pattern. 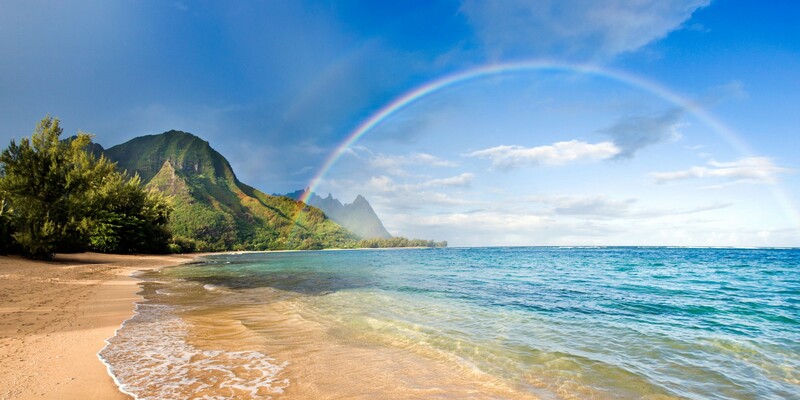 This allows you to easily add variations, such as, “Have you been to Hawaii?” and have them redirect to our previous response template. First published in 2000, StephTheGeek is an online presence with a giant case of scope creep. StephTheBot is an attempt to bring disparate sources of personal data together in friendly, timely, chatbot form. You can read about the projectand chat with her now (work in progress).